In 2014 the University of South Australia (UniSA) embarked on a project to transform on-campus life for its students. Pridham Hall was planned as a state-of-the-art facility to encourage physical activity and to celebrate educational achievements. Featuring a sports complex, swimming pool and event facilities, development was made possible through a $5 million donation from Andrew Pridham and the Pridham Foundation. Completion of construction was celebrated in a series of events during April 2018, with the gym and pool facilities offically opening to the public in May. 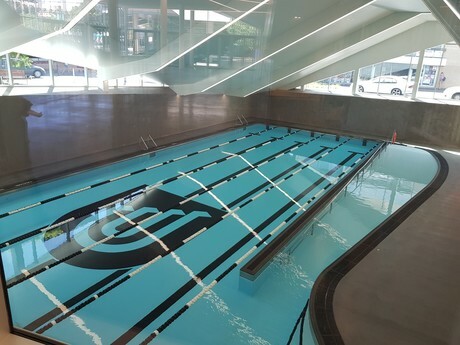 State Wide Pool Services (SWPS) was engaged to develop a 25 m, five-lane heated pool that lies below ground level in Pridham Hall’s Adelaide CBD location. While a traditional formed and poured pool was considered, construction complexities and time constraints called for an alternate solution. In an Australian first, SWPS opted to construct a pool from prefabricated componentry supplied by US manufacturer Natare. The pool is reinforced by buttressed stainless steel walls and features a curved ramp and exposed stainless steel edge. A custom-fit Natatec PVC membrane was tailored on-site, ensuring an attractive, watertight pool surface and affording a fast and efficient build. Natatec is a flexible blanket of PVC featuring a strong polymer mesh fabric inner core designed specifically for commercial pool applications. It is suitable for all climates and weather extremes and resists algae and mould, delivering a long-lasting, durable membrane solution. With a replacement cycle of between 10 and 15 years, repairs are simpler, quicker and less expensive to achieve than with a traditional concrete tiled pool. There is little or no ongoing maintenance requirement and a full replacement can be carried out over two weeks, versus the 10 to 12 required on a commercial pool retiling project. Site space constraints made it difficult to determine a suitable balance tank location, but the surge control weir built into the Natare solution negated the need for one. The pool also features a continuous perimeter reticulation system built into the gutter, delivering a low-maintenance, high-efficiency solution. The result is uniform distribution of clean, treated and heated water throughout the pool, with the added bonus of eliminating the need for buried piping around the pool perimeter. In another Australian first, the UniSA pool also uses a Natare high-capacity stainless steel vacuum sand and pressure filter. The slip-resistant polymer grating has been engraved with depth markers, safety symbols and lettering. 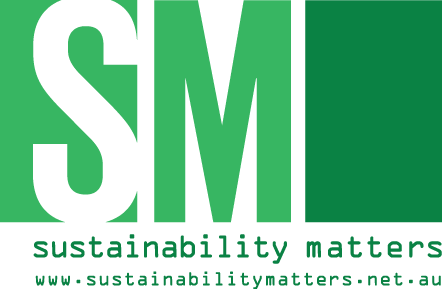 Customisation extends to the laser-cut PVC membrane UniSA logo which features in the centre of the pool — a less expensive and more precise solution than tiled alternatives. The certified slip-resistant GPM polymer grating has been engraved with a depth marker, safety symbols and lettering. Sitting alongside UniSA’s Jeffrey Smart Building, Pridham Hall’s architecturally expressive design continues to transform Adelaide’s West End and enhance the vibrancy of the City West campus. It is envisaged that the sports facility and pool will serve as a public drawcard, attracting a growing population to the precinct.